Lighting is one of the most powerful interior design tools. It can change the mood and atmosphere of both interiors and gardens at the touch of a button. With LED technology lasting longer than ever before, it is more important than ever to consider the lighting design carefully. 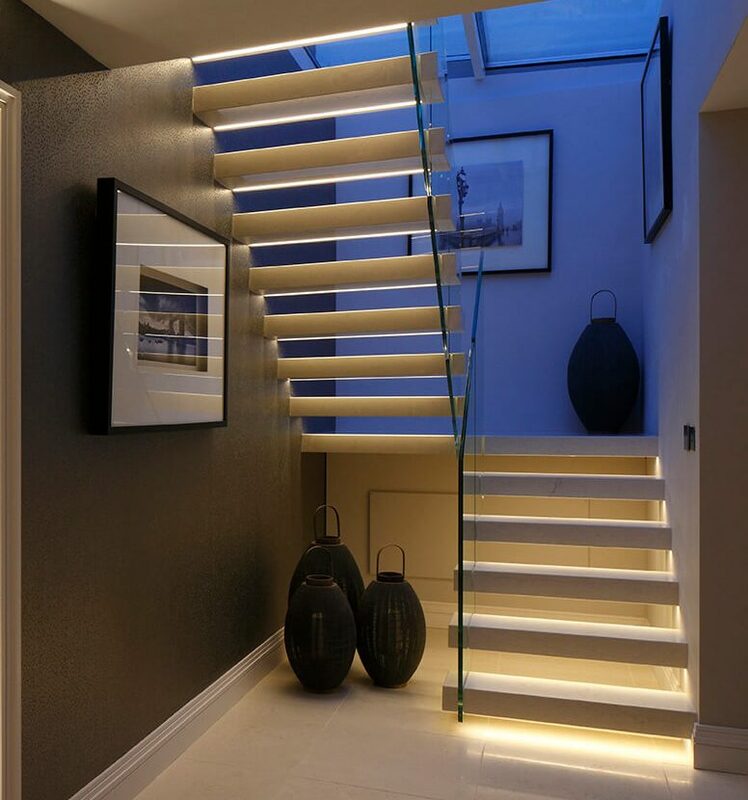 To ensure your design can reach its full potential, the lighting design should be done at the very beginning of a project before electrical first fix. After the initial meeting, the lighting designer will prepare a full set of lighting and CAD plans with a specification and detailed quotation, based around our own collection of fittings. This would include all the light fittings, drivers and controls. The specification and plans include full technical information of what is required on a room-by-room, circuit-by-circuit basis. They detail the exact location of all the fittings, the types of lights and lenses used as well as driver and control details. This typically takes around 15-20 working days from receipt of all relevant information. Once the design schematic and budget has been approved, we will create the detailed drawings and specification. We normally liaise with your electrical contractor and we will answer any queries they may have regarding the scheme. As the project goes to site, we will produce a final issue of all the signed off project documentation for the team on site to carry out the installation. This requires a final update to the lighting design package based on all the latest project information from other team members to confirm all information is current. Site visits are an integral part of the design process. Our design service is bespoke and tailor made to the project and how the space will be used. It is essential for the delivery of a successful project for our design team to be fully aware of changing site conditions and architectural elements in practice. Most projects progress organically, at least in part, and revisions may be required to ensure that the lighting design remains relevant to the latest interior design or architectural details. We will ensure that we coordinate with other project consultants to incorporate any changes that may be required. Whenever you are ready for the goods to go to site, our team will take your order and answer any technical questions you may have to ensure a smooth installation. All orders are bagged up on a circuit by circuit, room by room basis for ease of installation on site. This saves time making life easier for your electrician. Commissioning a lighting scheme is an integral part of any lighting design. 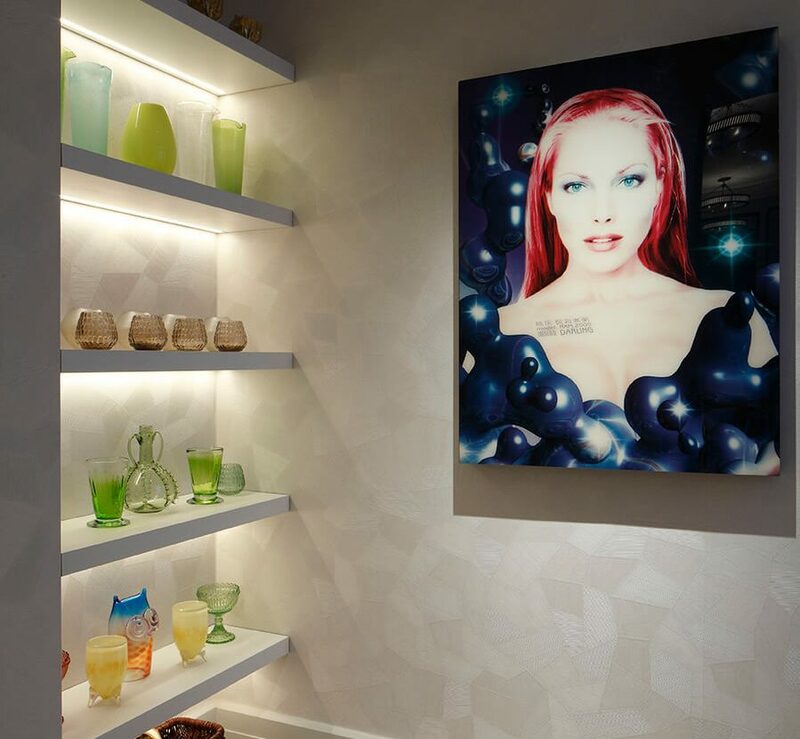 Your designer can visit site at the end of the project to ensure that the lighting is as designed, ensure all the lights are used to best advantage and help set up a control system if installed. Send in your plans if you would like a fee proposal. With LED light sources and fittings lasting much longer than before, it is important to consider your lighting design carefully as you will live with it for longer.